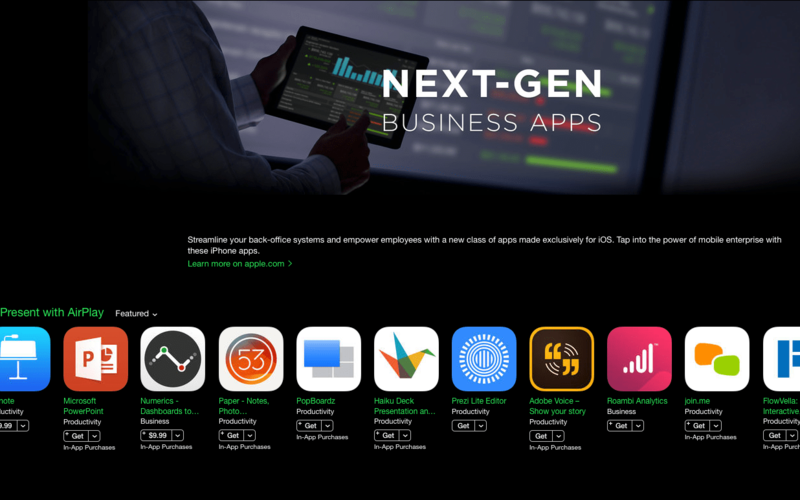 Apple has created a new collection called “Next-Gen Business Apps” showcasing a new class of apps made exclusively for iOS, that streamline business and empower employees. We are overjoyed to see Numerics featured in the “Present with AirPlay” list under this new collection. Numerics comes with a unique custom TV mode that fits your dashboard to any screen size. You can present your sales numbers, project status or any metrics that matter most to your team from your iPhone or iPad to Apple TV wirelessly. Simply tap AirPlay, enable mirroring to share your numbers on the big screen and make better decisions. All without having to connect to your organization’s network. If you don’t have an AppleTV handy, you can also connect to a big screen via HDMI directly, using a convertor. If you’ve been using Numerics to present your dashboards on big screens at work, we’d love to hear from you.